You have probably read lots of compound miter saw reviews on the internet. Some encourage you to buy one while others are not. But before you buy this tool, you need to know first what it is used for; its different types, its pros, and cons and a whole lot more. Let’s start reviewing this tool. 1 What Is a Compound Miter Saw? 1.3 How to Choose the Right Compound Miter Saw? 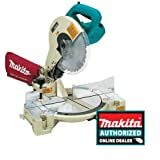 1.4 Where to Buy a Cheap Compound Miter Saw? A compound miter saw is a type of saw that has a revolving vertical hinge which allows the cutter head and the blade to be tilted sideways. This tool allows horizontal and vertical angled cuts, as well as angled cuts in both planes which are essential in crown molding. There are two types of compound miter saw—the single and the dual bevels. These saws can make similar cuts. Single Bevel—the first type is the single bevel. This type can only be tilted on one side. When using this type of saw, you need to flip the object before making a cut. Dual Bevel—this saw doesn’t require you to flip the workpiece before cutting it out. It is because this saw can be tilted in both ways. 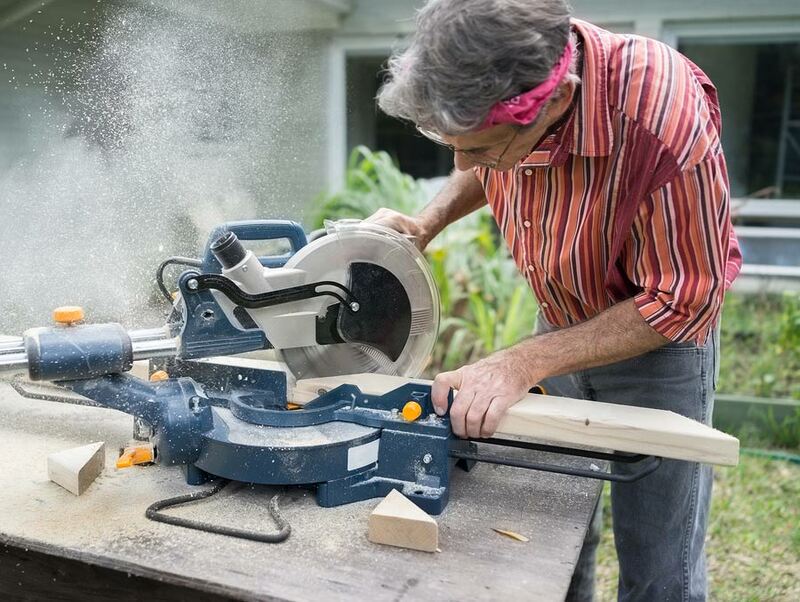 Just like any tool, a compound miter saw has its own advantages and disadvantages. But let’s talk about its advantages first. The tool is user-friendly. You can use the tool without a hassle. After reading the manual, you can use it without reading its content all over again. The Width of Cut. One of its benefits is the thickness of the cut. This saw can make a thicker cut compared to other types of saw. It can make a cross-cut. Since the hinge can be rotated, it is easier for you to make a cross-cut especially if you are using a sliding compound miter saw. You’ll get to finish your work fast. Compound miter saws use electricity or power to cut tools. With this energy, you’ll get to finish your work within a day or two, depending on how big your project is. The tool gives smooth cuts. Another great feature of this saw is it gives smooth cuts. No matter how tough the wood is, it can still create a smooth cut. The quality of the miter gauge. Due to its rotating pivot, you can tilt the saw up to 45o. You can tilt it to the left if you are a leftie or you can tilt it to the right if you are right-handed. Meaning, this tool can be used by anyone. Lock Feature. The compound miter saw is the only miter saw that has a lock feature. With this lock, you don’t need to readjust the tool from time-to-time while using the cutting equipment. The tool can be rotated in different angles. Unlike other types of miter saw, the compound miter saw can be rotated in various angles. This is beneficial especially if the wood that needs cutting is quite huge. It can be used in crown and base moldings. This tool is so versatile that you can use it in both crown and base moldings. You just need to install the right tool so you can use it to your project. The cuts are precise and accurate. This equipment lets you have precise and accurate cuts. This will make your project look more professional than using other cutting tools. The tool needs electricity in order to function. If you are doing a project and the electricity has turned off, you can’t use the tool anymore. You need to wait for the power to get back before you can continue your project. It creates a whole lot of mess. The tool doesn’t have a container where the wood dust and chips should go. You need to clean up the place after doing the project. How to Choose the Right Compound Miter Saw? Consider your budget. Though compound miter saws are quite expensive, there are still tools that produce the same end result at an affordable price. Choose a tool that is under your budget. Know your cut requirement. If you only need vertical cuts, then choose the one that can produce this cut. Look for a handy tool. Get a tool that is easy to bring so you can use it wherever you like. You also need to consider your budget when choosing a single or dual bevel. Get a tool that is under your price range. Know the type of project you are going to make. If you are making a project that needs crosscutting, then this tool is the one that you should get. Finally, don’t forget to read compound miter saw reviews whatever type you are using. These reviews will help you choose the best brand as they provide the price, as well as the pros and cons of the product. Where to Buy a Cheap Compound Miter Saw? There are lots of online and offline stores that sell this equipment. But if you want to get the best deals, then you should get it at Amazon.com. They sell this equipment at an affordable price and the best part is that the tool will be delivered to your home. There are lots of compound miter saw brands that you can choose from. But only three brands stood out. Listed below are the top three compound miter saw brands that you can buy. Read this quick compound miter saw reviews for you to choose the perfect cutting equipment. The DEWALT DW715 15-Amp 12-Inch Single-Bevel Compound Miter Saw gives accurate and quick cuts. It has the powerful motor and great features, allowing you to cut a wide range miter-cutting and crosscutting applications. The tool has a robust carbide blade, a dust bag, and a blade wench. The Makita LS1040 10-Inch Compound Miter saw is a very powerful tool. This cutting tool can be used in various wood projects such as framing, cabinetry, woodworking, deck building and a whole lot more. It has great features which provide a high-quality performance, making your project look elegant. 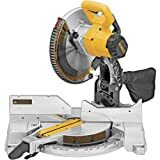 The last on the list is the DEWALT DW716 15 Amp 12-Inch Double-Bevel Compound Miter Saw. Just like the DEWALT Single-Bevel Compound Miter Saw, this tool provides accurate and quick cuts to perform the job. The only difference is the lock features and fence which the first tool doesn’t have. The compound miter saw is an ideal tool for any woodwork. With this tool, you can do framing, cabinetry, and many others. It has a rotational vertical hinge that allows you to tilt the head in both sides. The tool comes in two types. But the most popular is the single bevel compound miter saw. This type can only be tilted to one side. But it is more affordable than the dual ones. The dual bevel, on the other hand, can be tilted on both sides. The best thing about this tool is you don’t need to flip the object before cutting it. You just need to pass it through to cut the surface. The tool provides lots of advantages, but it also has some disadvantages. The great thing about this tool is it provides higher performance and better end result. The tool gives a finish look compared to other cutting equipment. However, the tool needs electricity in order to run. If the power is out, you have to discontinue your work and finish it once the power is back on. When choosing a compound miter cutting tool, you need to consider the price of the brand. Choose a tool that is in high-quality but still under your budget. You also need to choose a tool that fits your work for you to enjoy the benefits of the equipment. You also need to consider where you want to buy the tool. If you want to save time and cash, the best place to get this equipment is through online. Online stores provide great deals and delivery services so you don’t need to go to the store just to get the equipment. 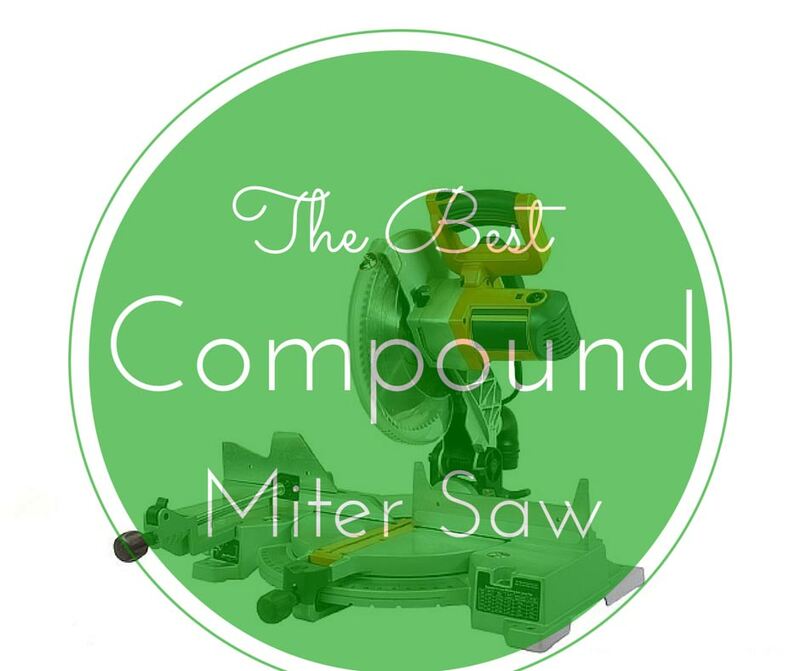 There are lots of reviews for compound miter equipment. Each one provides the product’s pros and cons. Read those reviews for you to get the best model for your crafting needs.